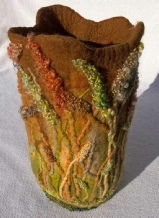 Made after a walk in the Yorkshire Wolds in autumn. 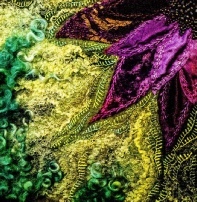 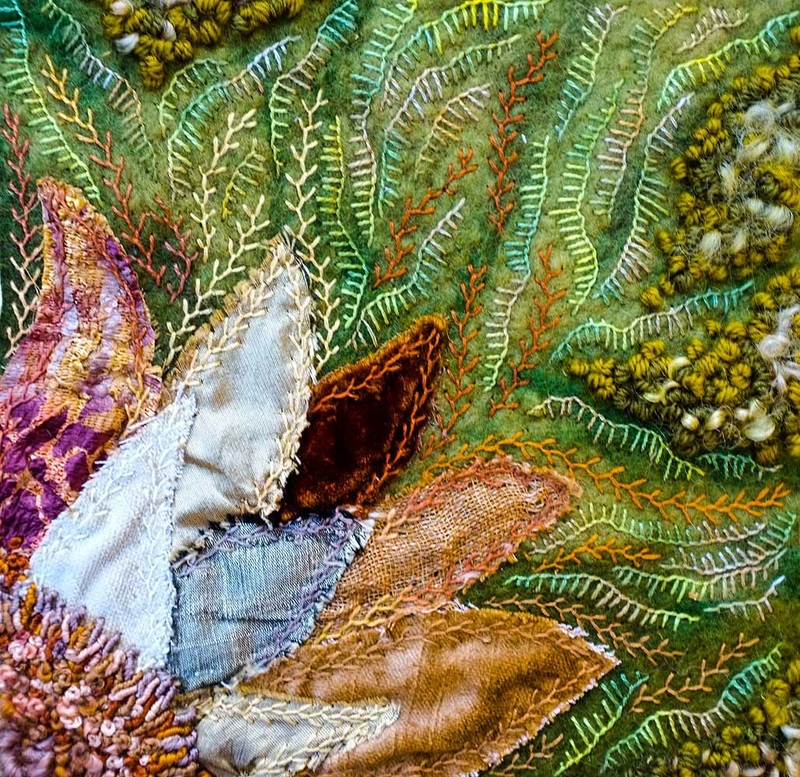 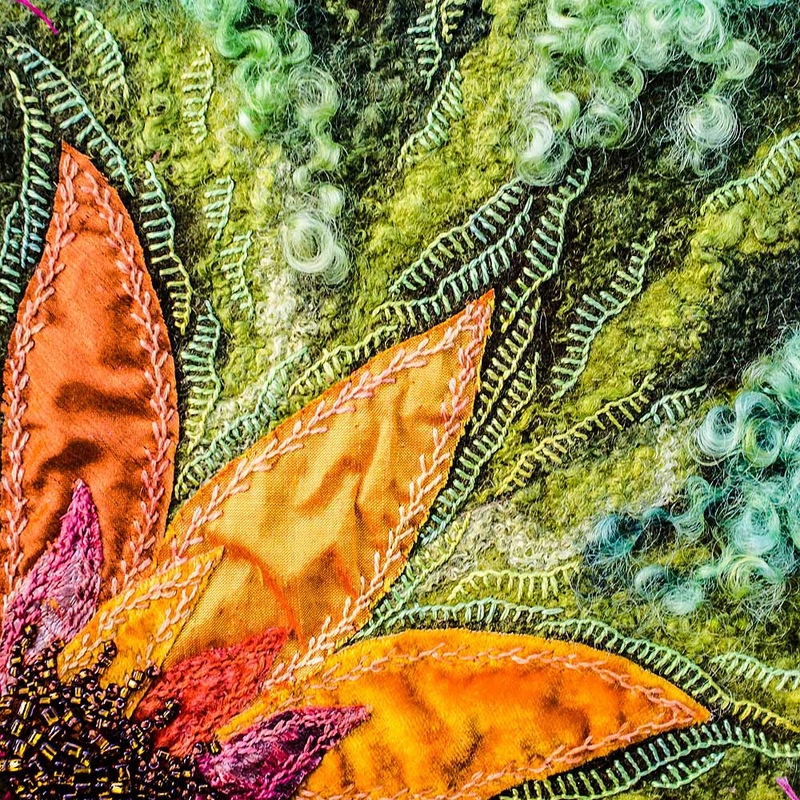 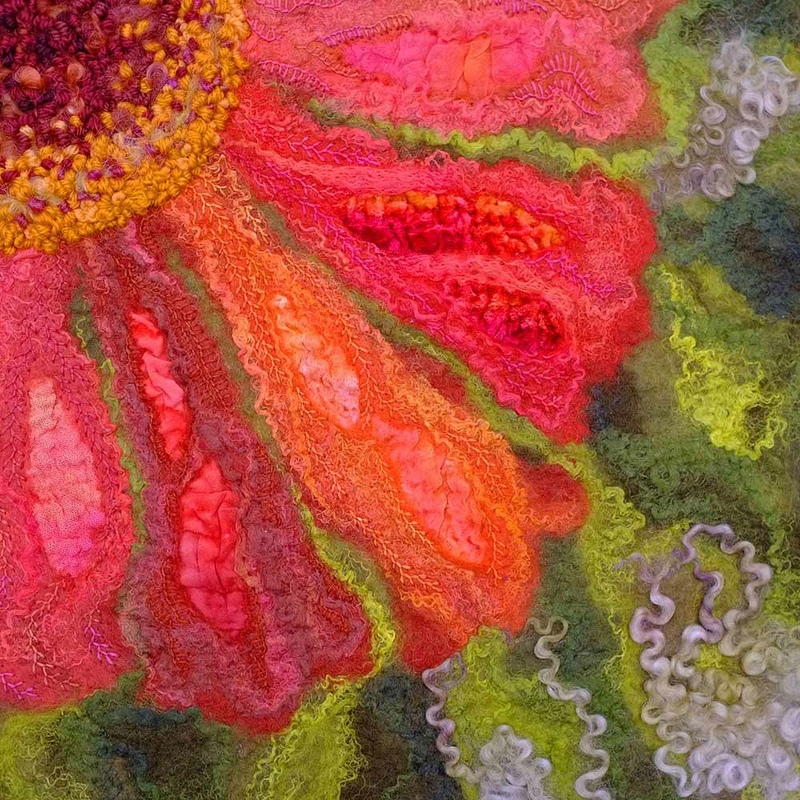 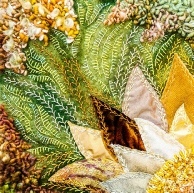 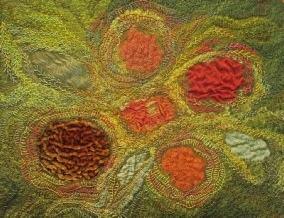 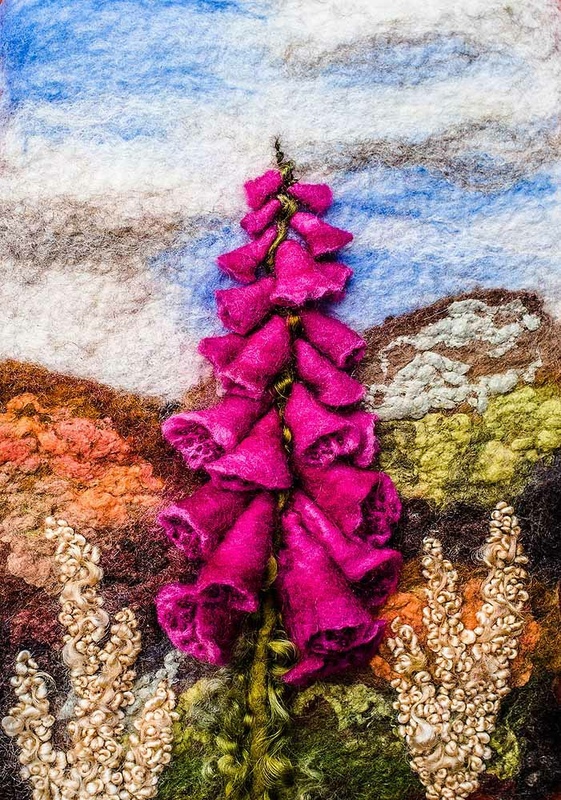 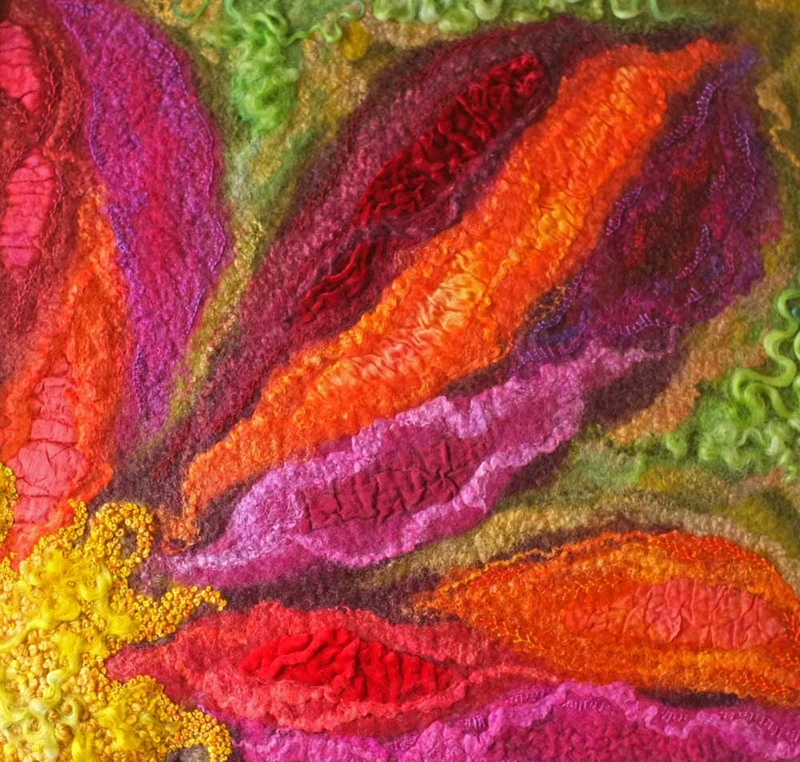 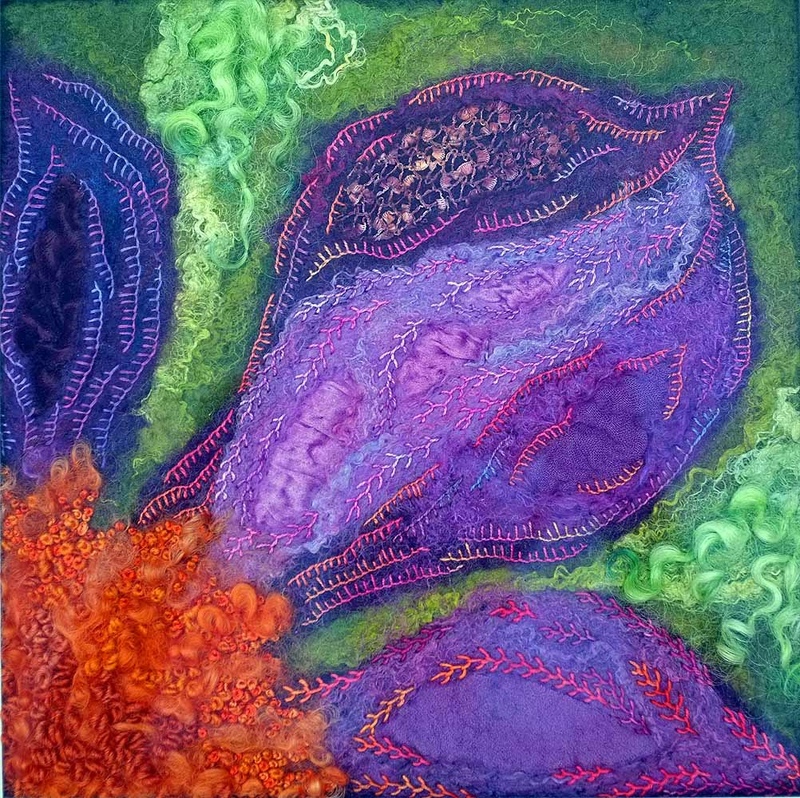 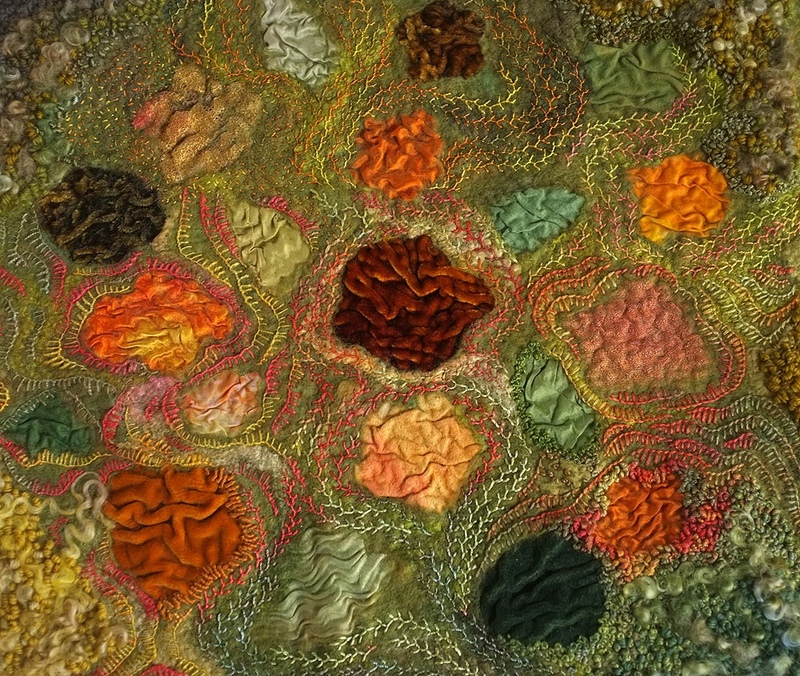 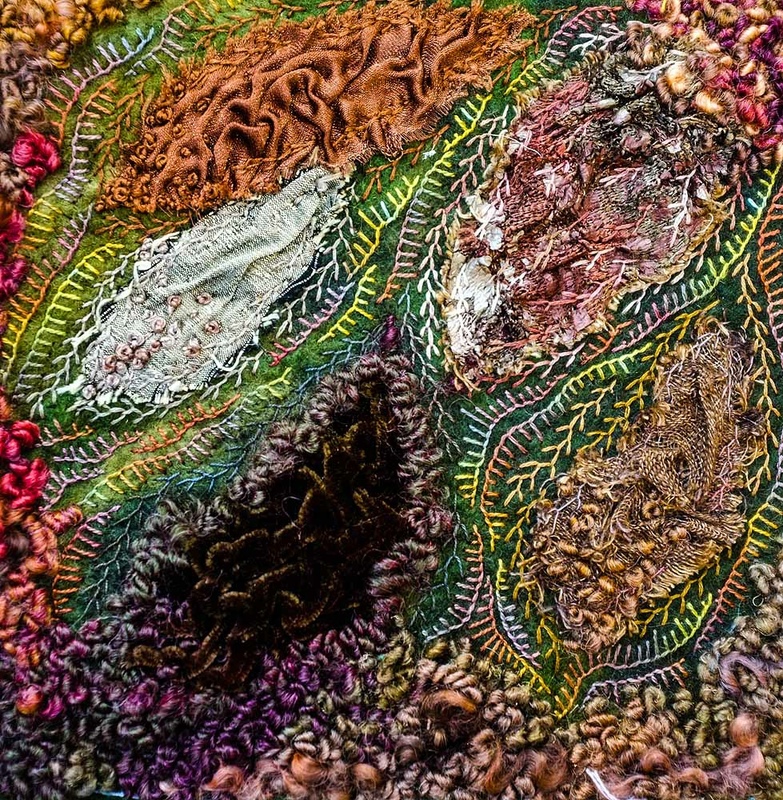 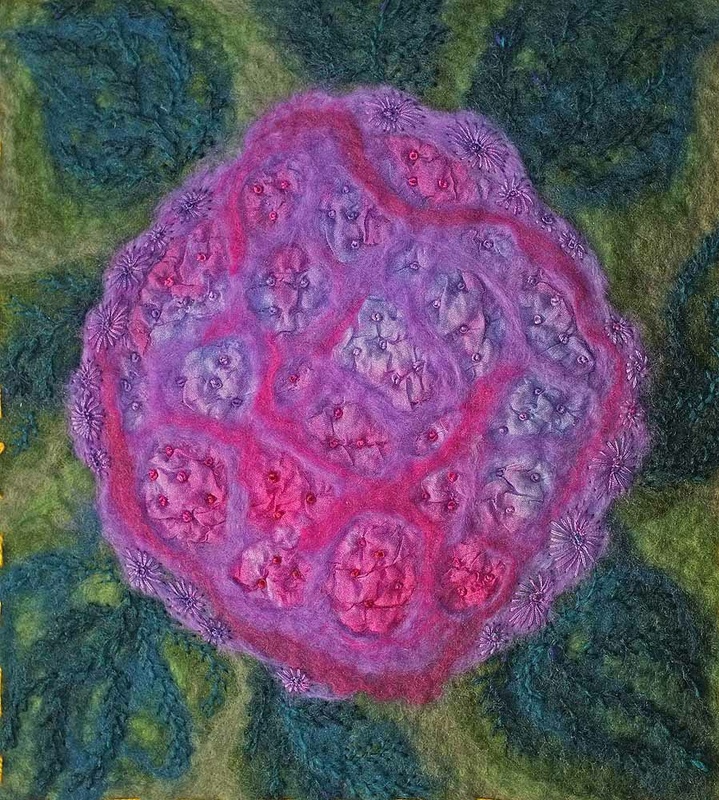 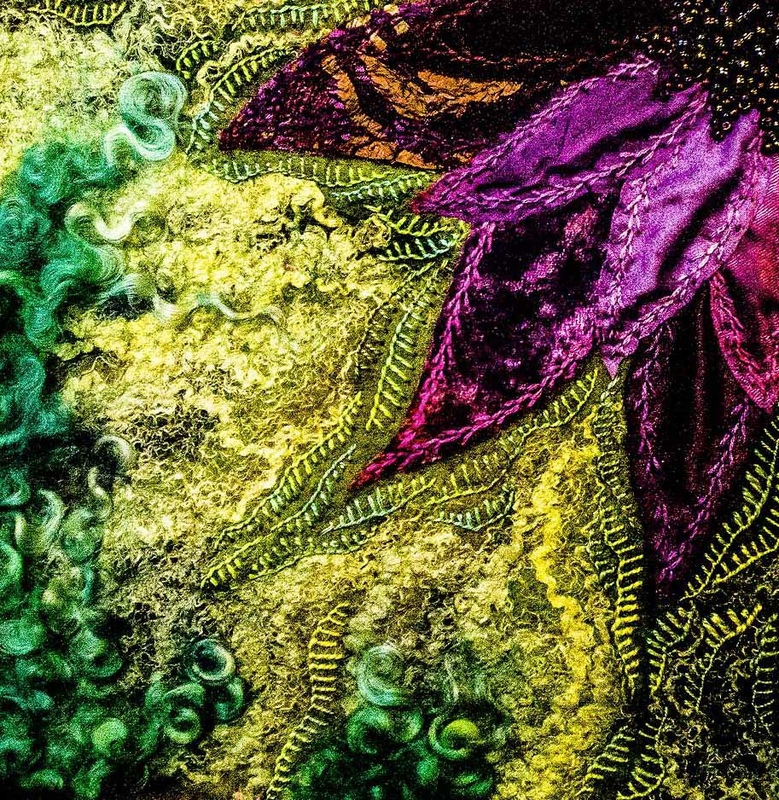 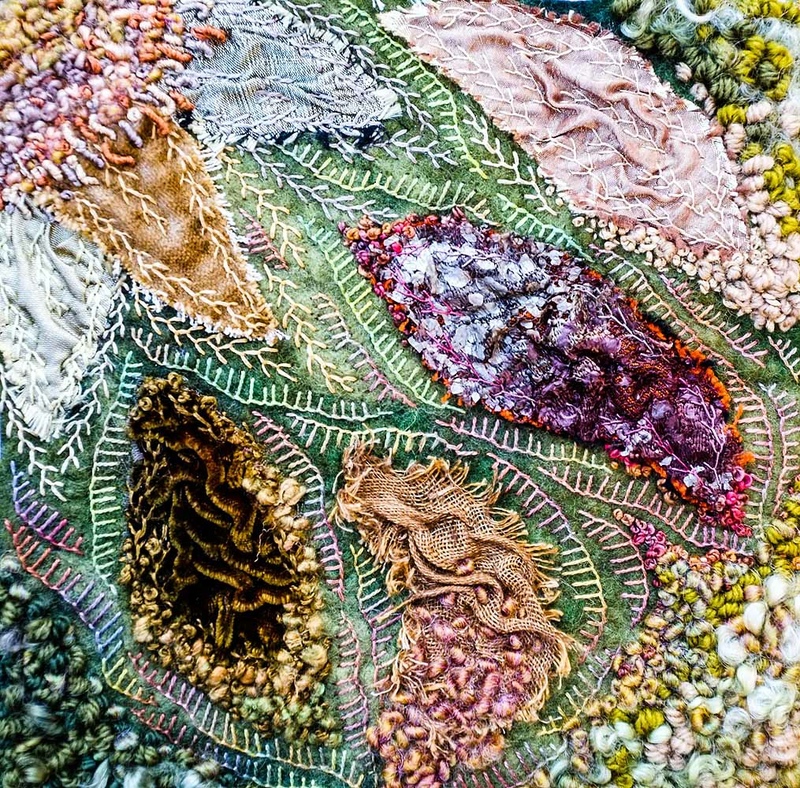 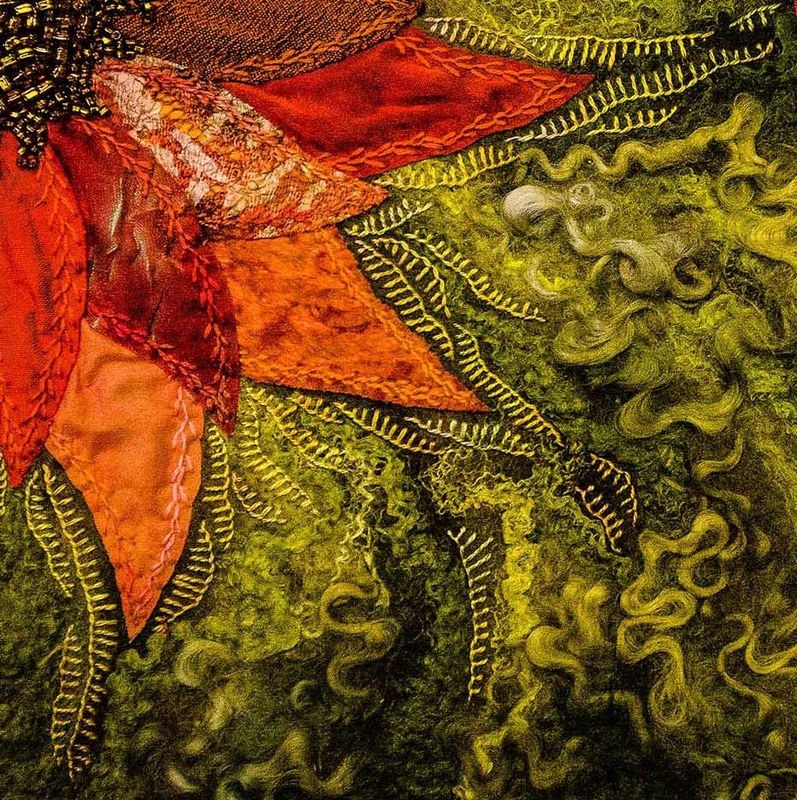 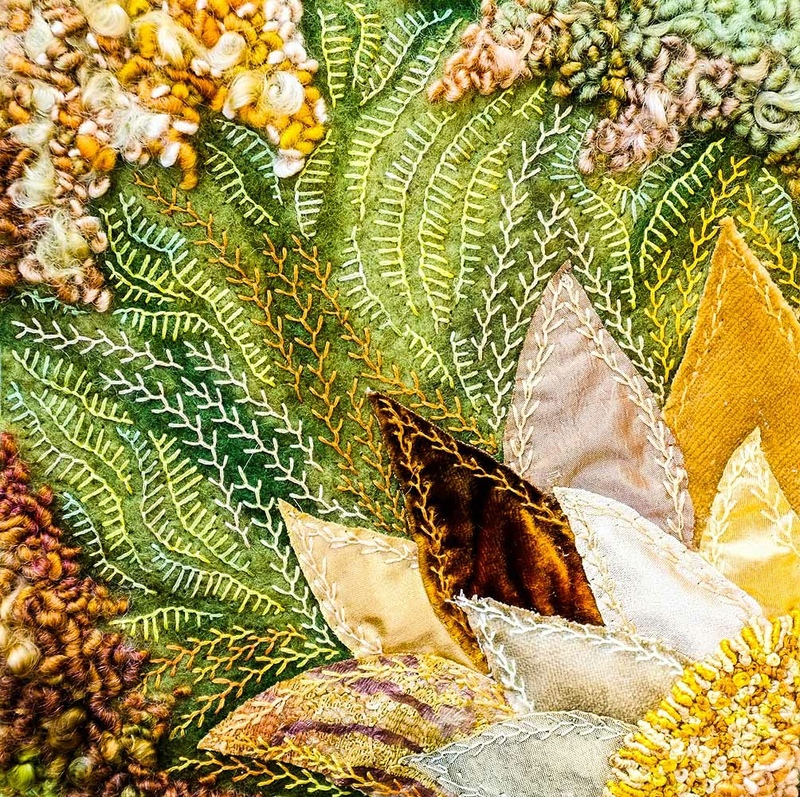 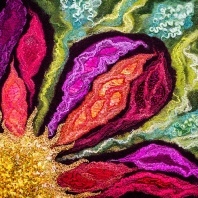 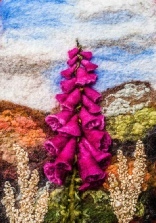 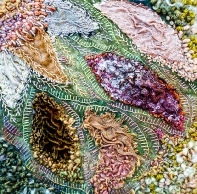 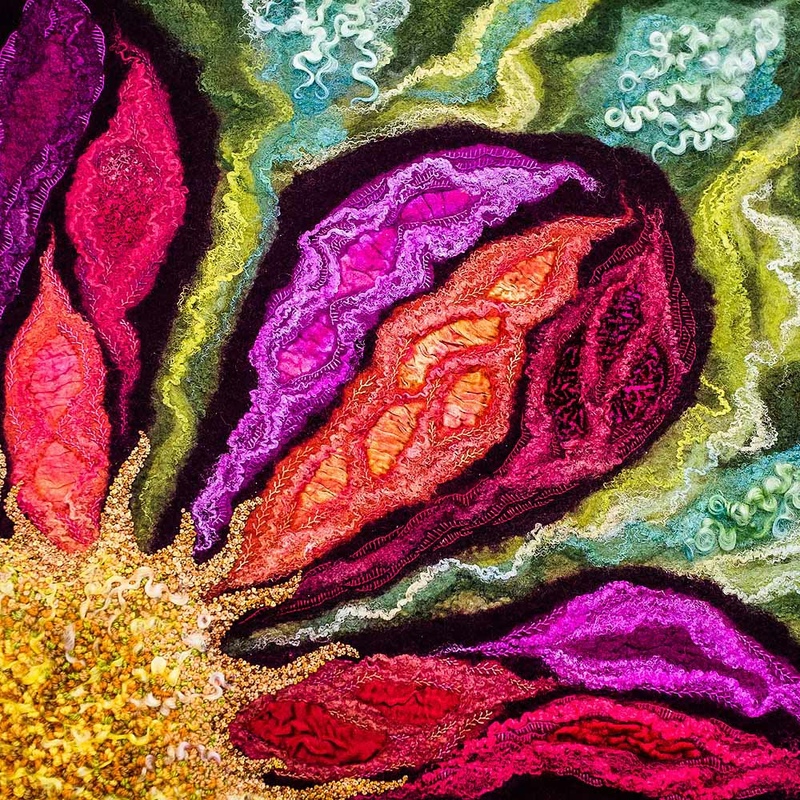 Inspired by our garden this felt picture uses merino & Wensleydale wool with silk fibres, and silk, velvet, cotton & satin fabrics wet felted in, with dense hand embroidery over the top. 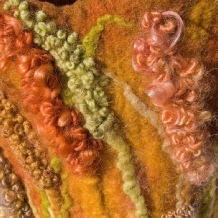 Detail of tall sculpture. 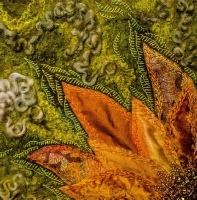 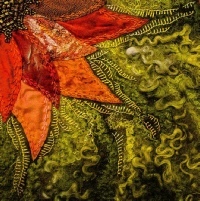 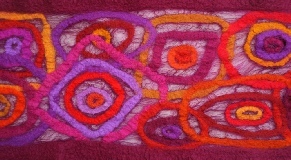 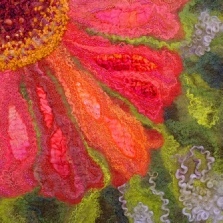 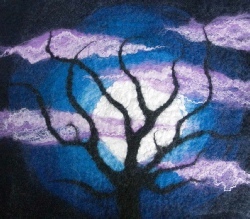 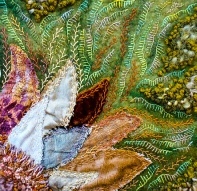 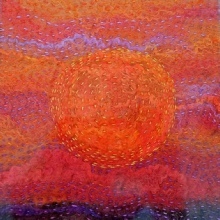 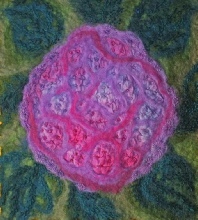 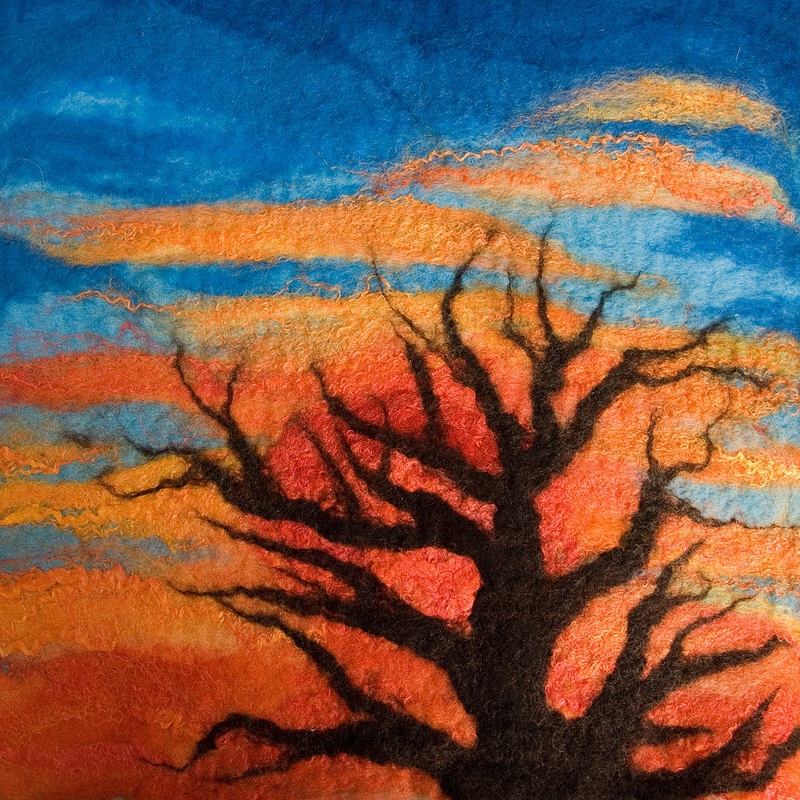 Wet felted in merino & Wensleydale wools with silk fibres and fabric felted in and rich hand embellishment over the top. 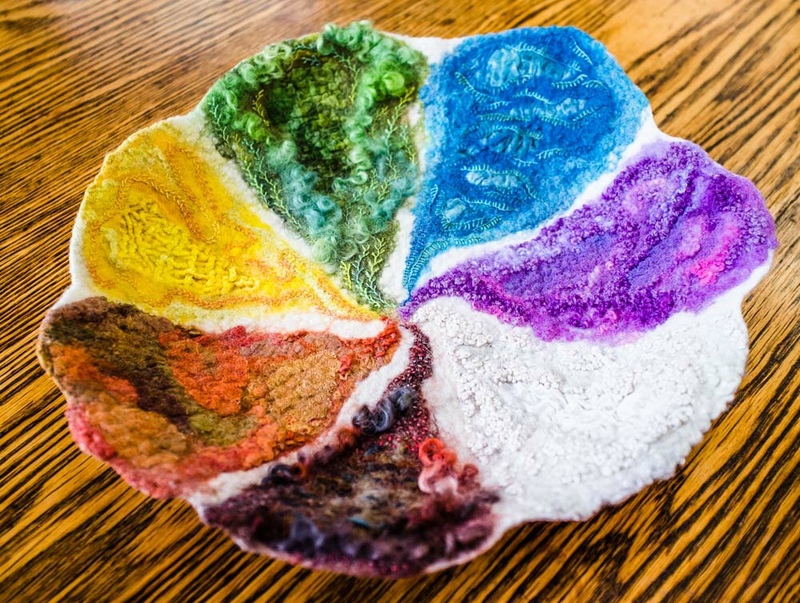 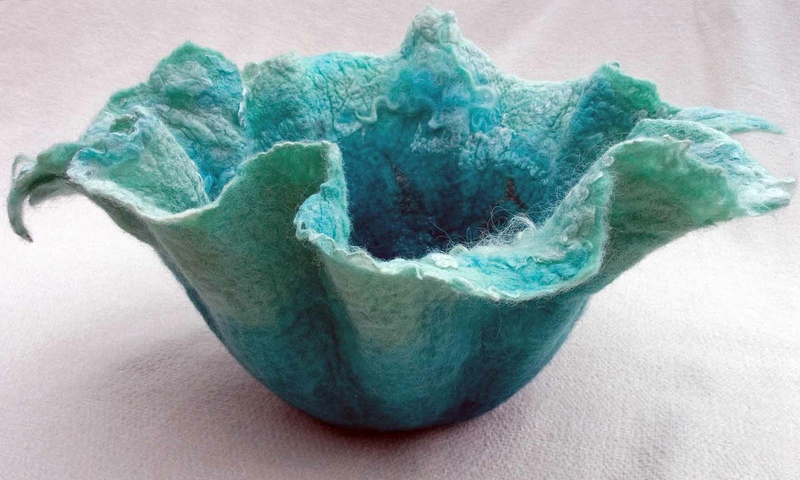 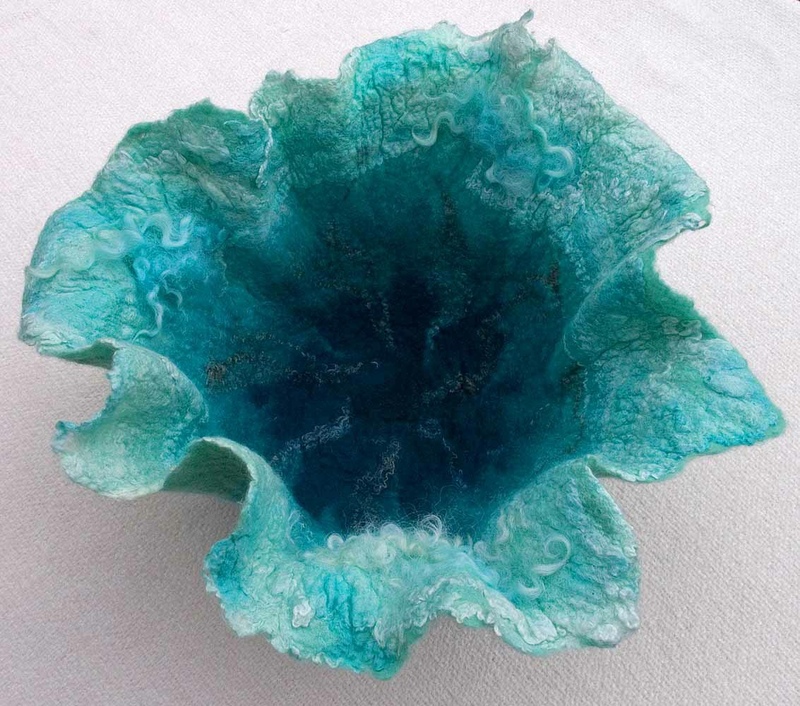 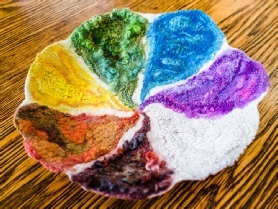 thin felt bowl was wet felted using merino and Wensleydale wools with silk fibres. 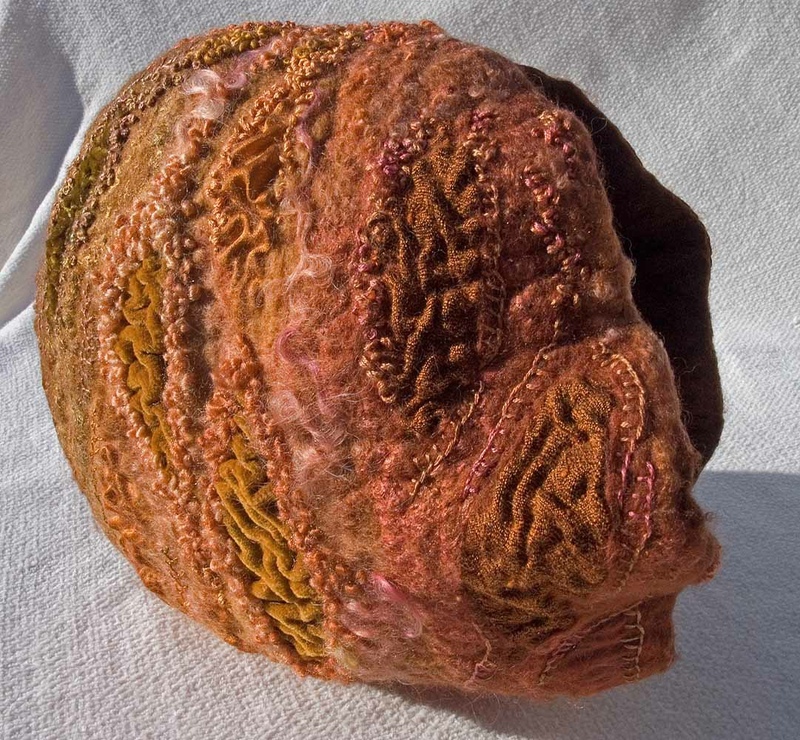 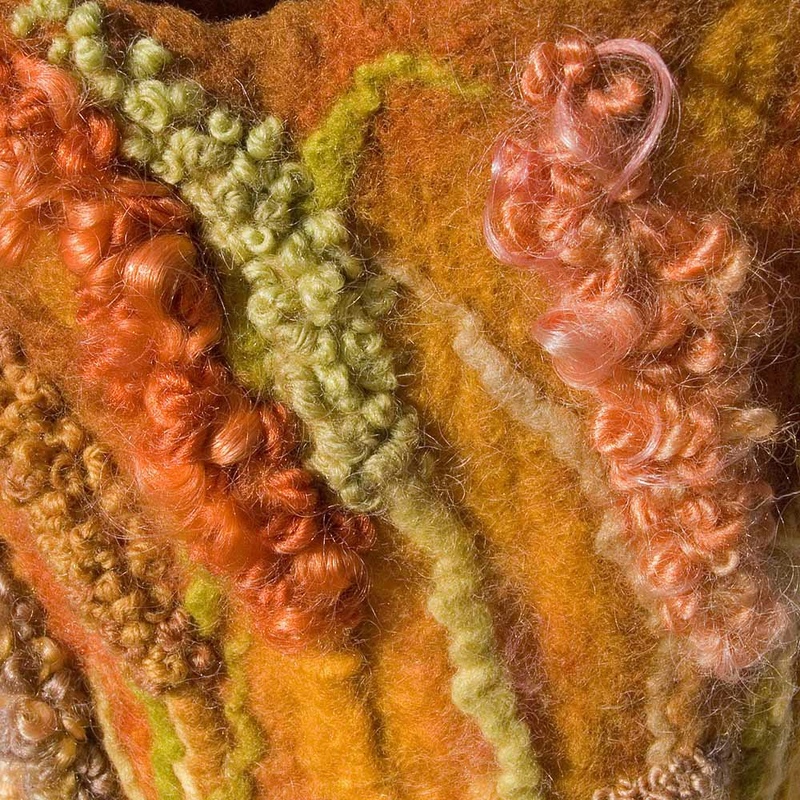 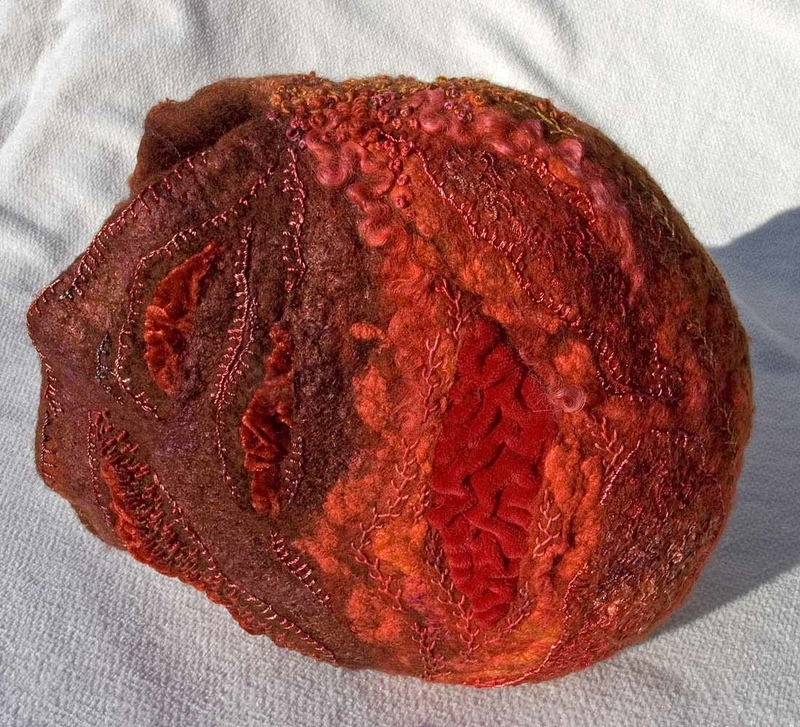 Felt vessel in merino & Wensleydale wools with silk fibres and fabric felted in and rich hand embellishment over the top. 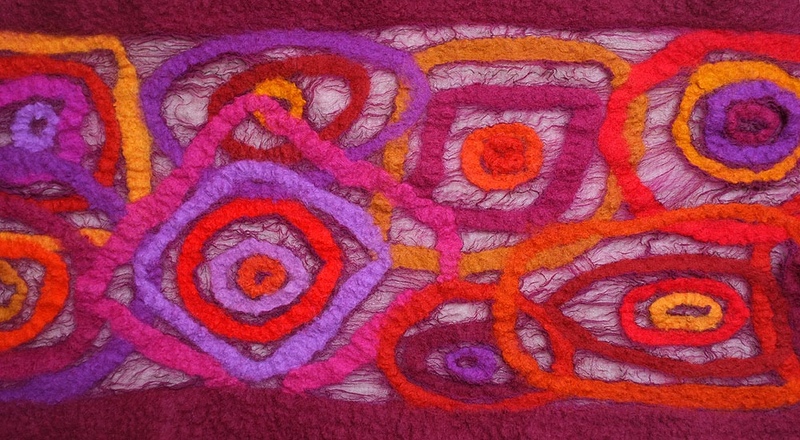 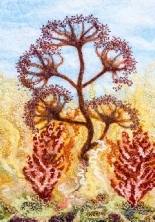 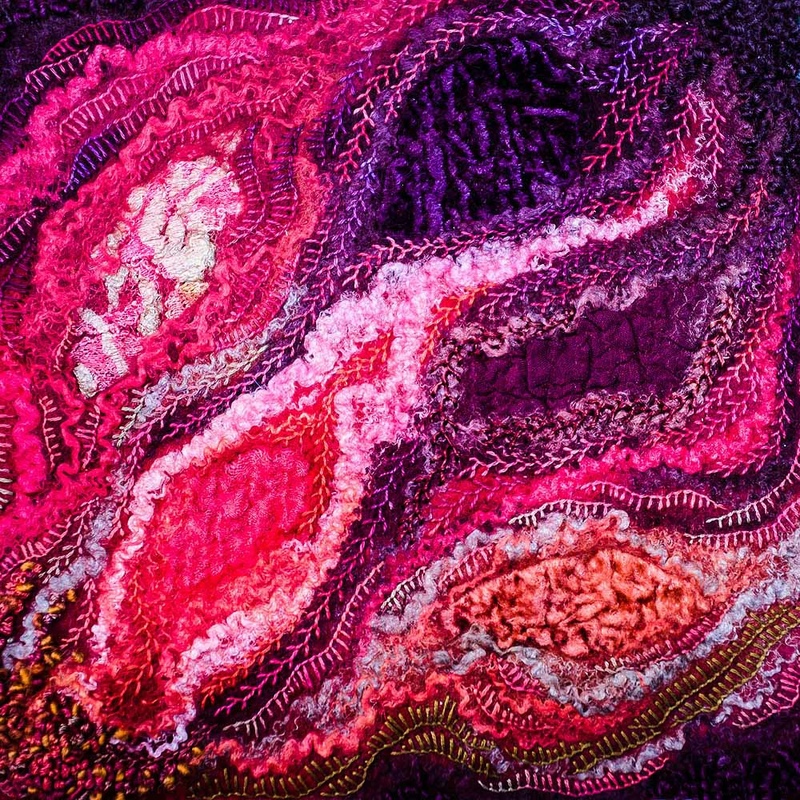 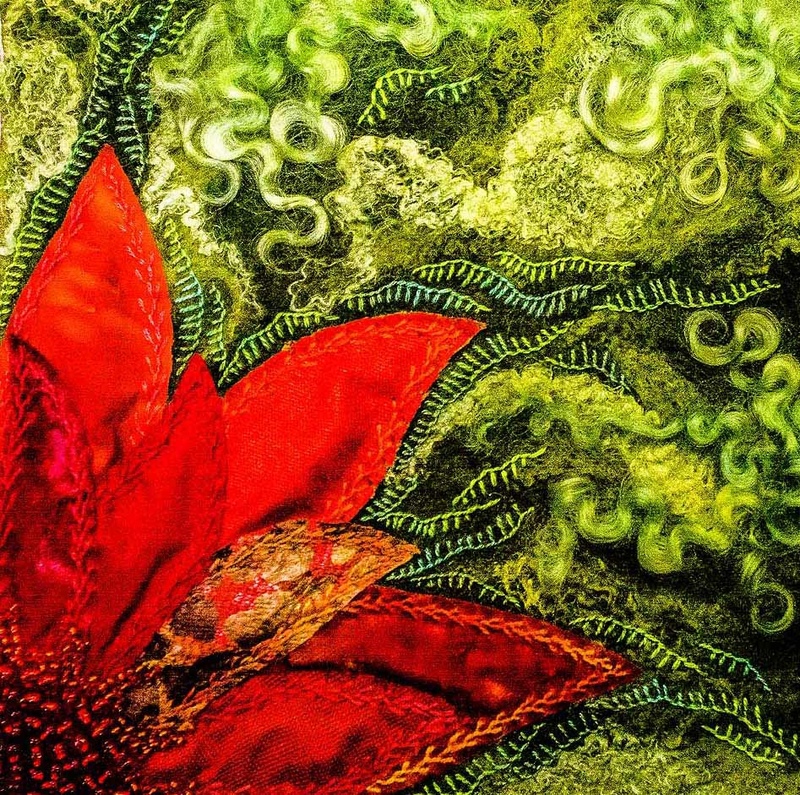 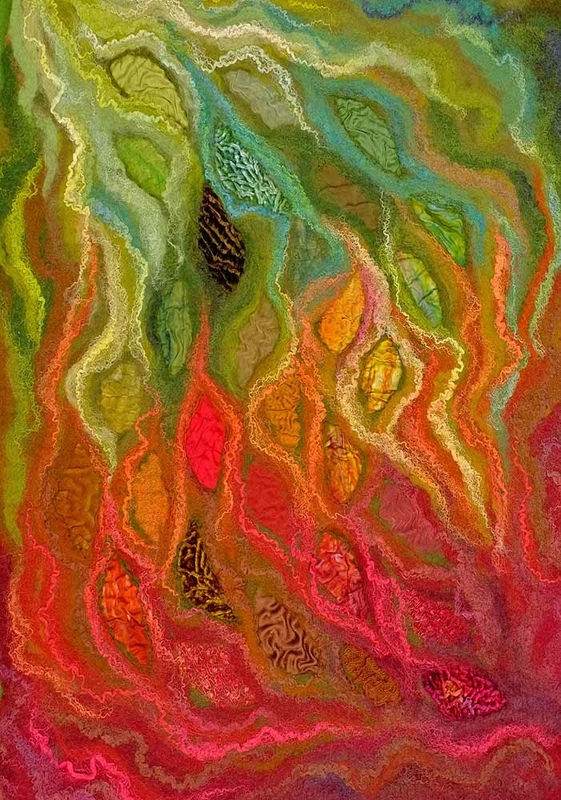 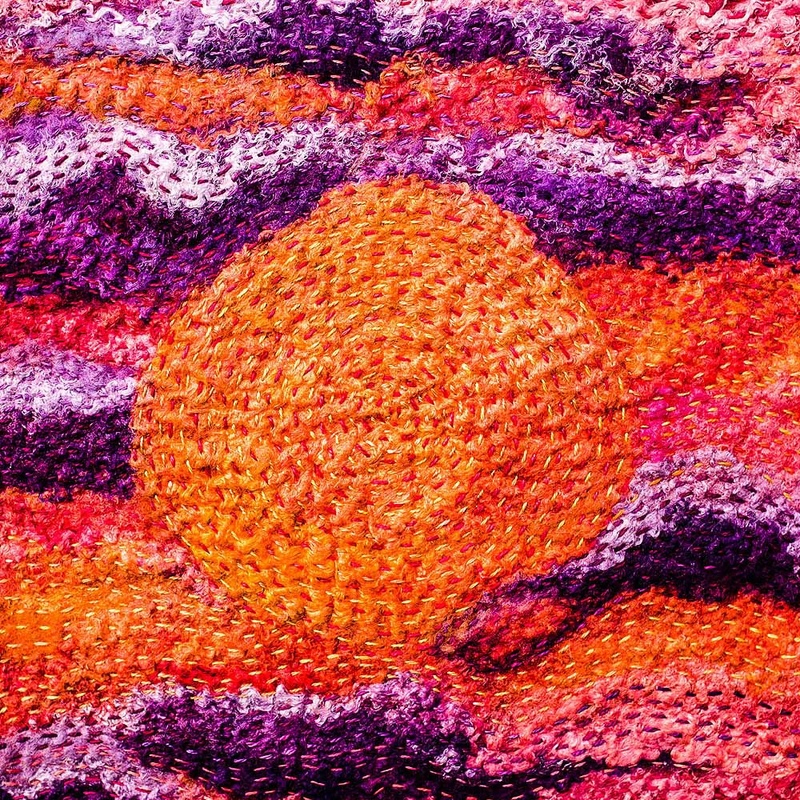 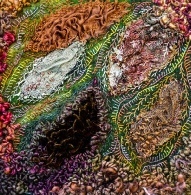 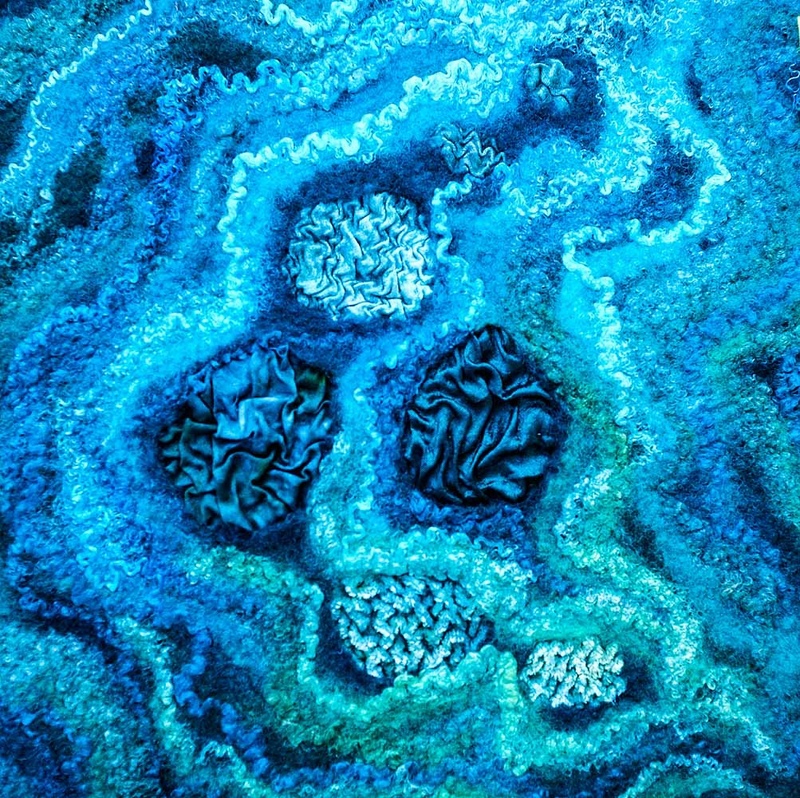 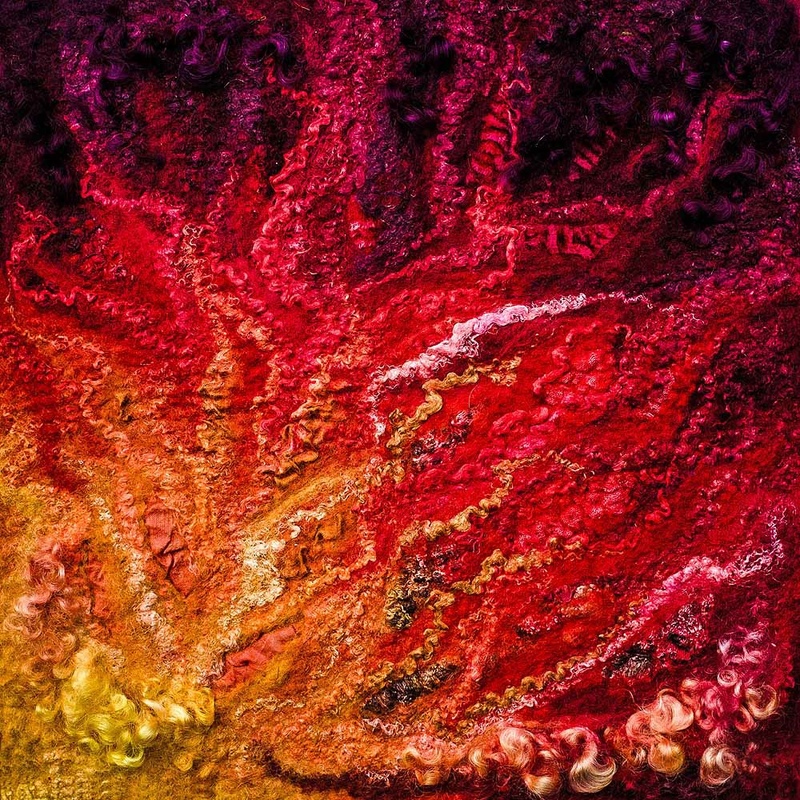 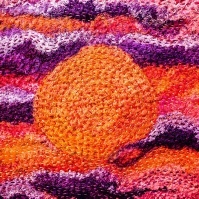 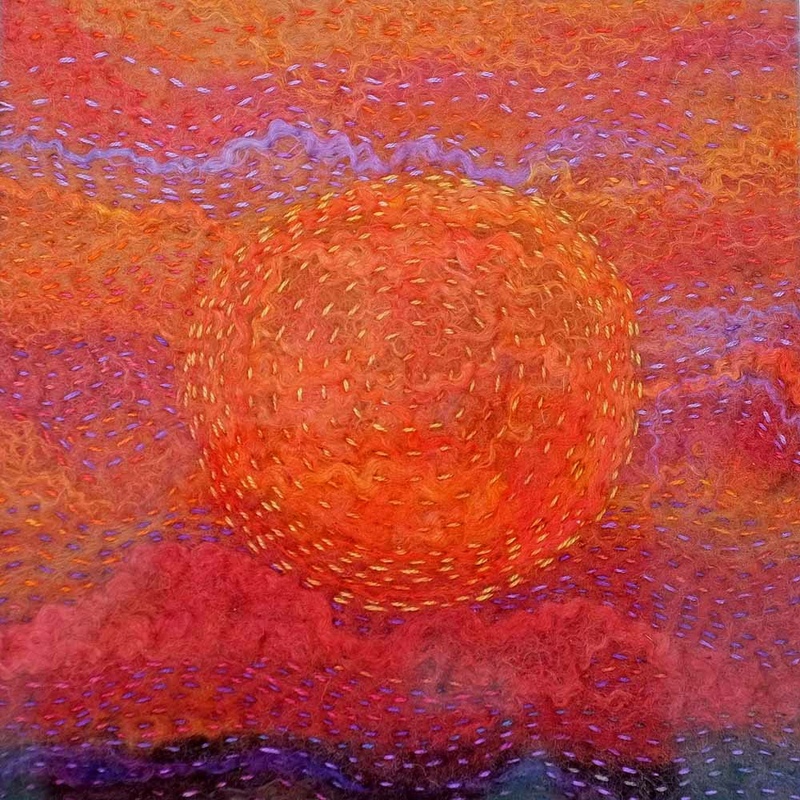 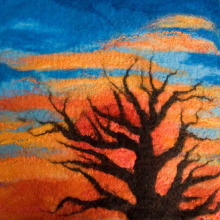 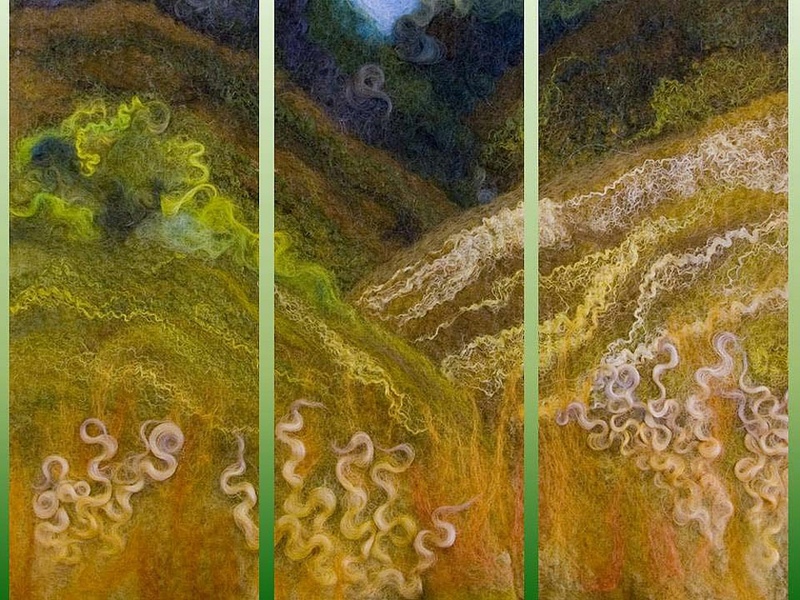 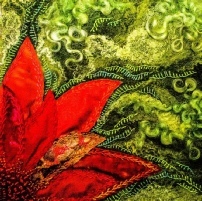 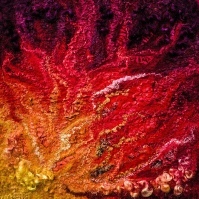 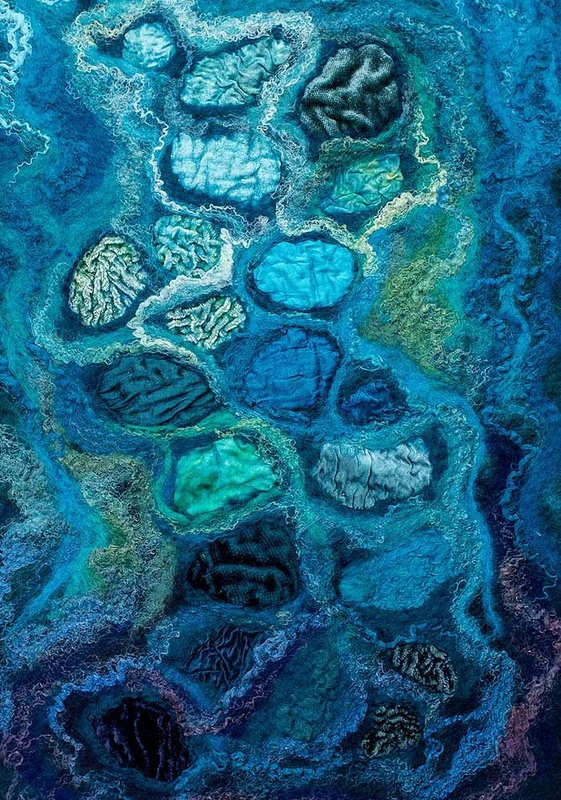 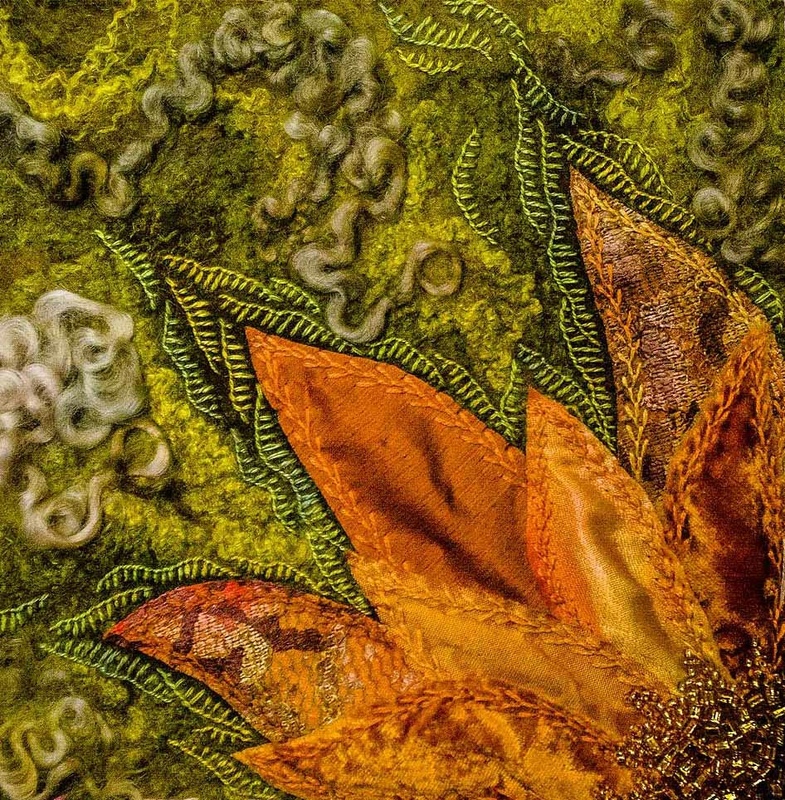 Inspired by pebbles in the stream bed this felt picture uses merino wool with silk fibres and a range of fabrics such as silks, velvets, cottons & satins wet felted in. 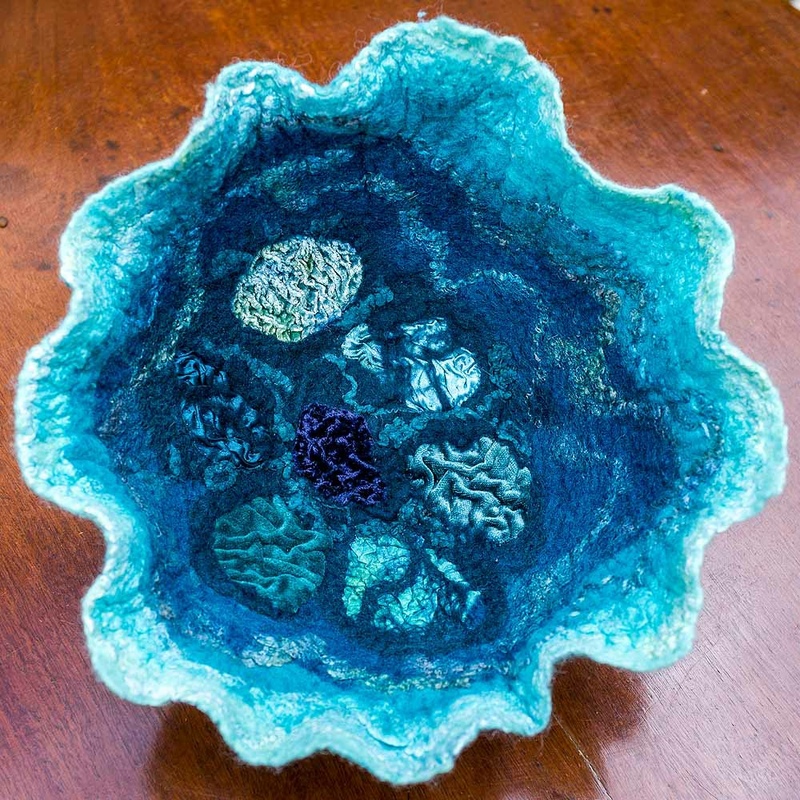 The bowl is wet felted with merino and Wensleydale wools, silk fibres and then dense hand stitched on top. 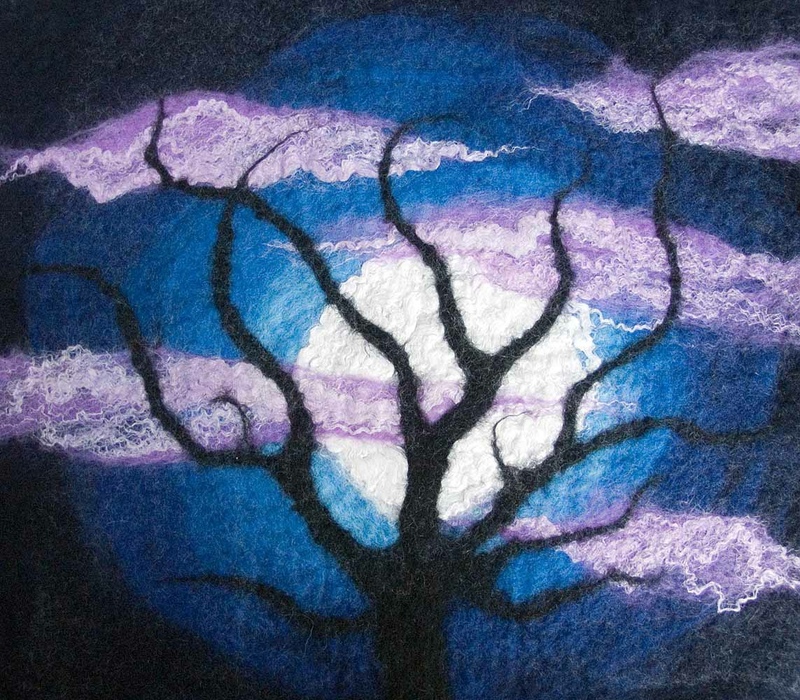 Loosely inspired by the idea of spiralling galaxies, this nuno felt hanging has a hand dyed chiffon silk backgorund with a merino wool pattern felted on top.